Crescent Plastics can produce custom specialty plastic tubing in a variety of materials. We offer custom polyethylene tubing, custom polycarbonate tubing, and more to meet the unique needs of our customers. Based on your specifications, we can produce the custom, specialty tubing your application requires. Perfect for refrigerator water lines and door wiring conduit, among countless other applications, Crescent Plastics can extrude both high and low density custom polyethylene tubing. Available in standard sizes of 0.188” (3/16”), 0.250” (1/4”), and 0.313” (5/16”) and a variety of wall thicknesses, our custom polyethylene tubing can be marked with part identification numbers and lines for push-fit location, if required. Polyethylene is a specialty plastic tubing that offers outstanding chemical resistance, high inherent lubricity, and high impact strength. Crescent Plastics’ custom-extruded polycarbonate tubing is ideal for a wide range of lighting applications. We can produce fluorescent bulb protectors, extruded LED light lenses, and numerous other lighting and light fixture products. 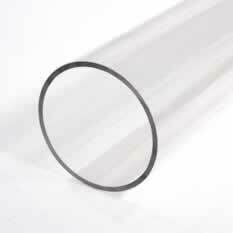 Polycarbonate tubing is also used in myriad other industries and applications. 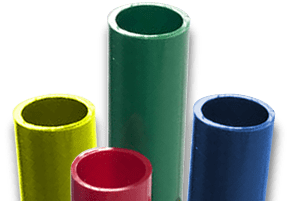 Polycarbonate is a specialty plastic tubing that is very durable and is known for its excellent mechanical, optical, dielectric, and thermal properties. 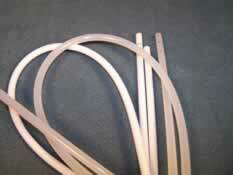 We also offer custom polypropylene tubing for all applications. Polypropylene is a very versatile material with exceptional fatigue resistance that can be used as a replacement for many other engineered plastics, such as ABS. 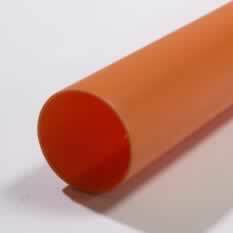 All our specialty plastic tubing is available in sizes from 0.188” O.D. to 4.5” O.D. Contact Crescent Plastics today for a quote on polyethylene tubing, polycarbonate tubing, or other custom specialized tubing for your project. Certain materials meet UL, NSF, FDA, RoHS, and WEE requirements. Please specify if you require compliant materials.